Last year I posted a five-part series called the JFK Conspiracy Con introducing my way in to the subject of the JFK assassination. For me, it was a long outgrowth on the theme of militarized medicine– an intriguing and unexpected turn-of-events in pursuit of the biological hazards of radioactive fallout. Merging of JFK assassination events with all-things-nuclear, in retrospect, is as natural as the convergence of rivers on their way to the sea. Thanks to intrepid research across a broad range of topics, I’ve been able to navigate into the main current with the certainty of being carried on the strongest course. It takes no special talent to ride with a torrent –merely a skill to maintain position and allow the flow to work for you. While this describes my experience with the assassination it also, keenly, describes the career of the subject of this post, Lewis L. Strauss, who mastered his gratuitous position atop the military complex, or the military-industrial-medical complex as I’m obliged to say. To the best of my present knowledge, there is no record of any direct personal interaction between John F. Kennedy and Lewis L. Strauss. What does exist is a dazzling set of facts that fit a context of qualifiers demonstrating that Strauss had the capacity to plan, execute, and cover-up the assassination of our president as an ultimate sort of inside man. There are many published investigators into the JFK assassination who suppose we will never know the names of the shadowy perpetrators; that they are shielded in a hierarchy of structure that seals them forever beyond the reach of inquiry and evidence. A fascinating observation of concealed power is the fact that Strauss’s job as the Atomic Energy Commission chairman, his long years prior as a Kuhn Loeb & Co. banker, Naval Intelligence officer and admiral, and a man of great wealth and international influence has resulted in but one (one!) biography sanctioned by the Strauss family. James B. Conant, a Manhattan Project leader of the highest rank, called the AEC chair “the most important job in the world” and expected it to be offered to himself. It never was. Eisenhower wished to designate Lewis Strauss the “permanent chairman” of the AEC, according to biographer Richard Pfau. Strauss declined the offer in favor of his next appointment as Secretary of Commerce, a pro-tem assignment for which Congress rejected him a year later: “He never got over it.” Officially, Commerce was his last public service with a government paycheck and Strauss went on to wrap his career as a pro-nuclear ambassador and political activist until dead in 1974. I find it a stunning testament to Fear and Loathing that an apologist’s screed, written to offset the ridiculously “blameless life” of Strauss’s own autobiographical memoir, stands for commentary on his most interesting contribution to history. The very lack of accessible narrative makes these recordings more acutely incisive for the bareness of cutting edges. References to Strauss are virtually everywhere touched by the Cold War. He dominates the long-stewing events of the JFK assassination with the charm and presence of the Elephant in the Room –malodorous and darkening, with the potential to bring down the house. “The class of people who most willingly enter into secret societies are..careerists, and in general people mostly light-minded, with whom we shall have no difficulty in dealing and in using to wind up the mechanism of the machine devised by us. If this world grows agitated, the meaning of that will be that we have had to stir [it] up in order to break up its too great solidarity. But if there should arise in its midst a plot, then at the head of that plot will be no other than one of our most trusted servants. Rosa L. Strauss from Richmond, VA, may have been by her son’s side as he fulfilled her great ambition for him. The historical record is clear that she died of cancer in 1935, yet in one of Edward Teller’s possibly famous indiscretions, Teller told a pair of his own biographers about meeting Strauss’s mother after a speech at the Temple Emanu-El in 1948, the year Strauss resigned his 10-year wartime presidency there. 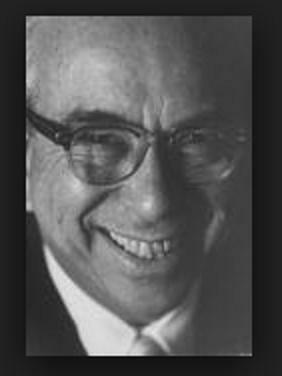 The recollection was vividly made by Teller in the 1976 book Energy and Conflict who seemed amused by the incident. Mrs. Strauss wanted so much to introduce the physicist to her son, the president. Teller and Strauss had already become great allies in the battle to build H-bombs. Was Teller grossly indiscreet in the wake of Lewis Strauss’s passing (’74), or does the record of Rosa Strauss’s 1935 cancer death provide the crucially public motive for her son’s indefatigable activity as a cancer fighter? The motive was to impel the transfer and import of pre-weapons technology, radioactive substances like radium, and the scientists themselves. In one of the most obscure references to Strauss, he was also tersely noted as a member of a secretive medical research group called the Maccabee Club, presumably unrelated to any other known or traceable group by that name. The medical Maccabees remain a mystery. “Rosa Strauss expected Lewis to earn a fortune and then devote himself to public service…[p6]…She criticized his father’s lack of drive so often that..Strauss would recall that, ‘Father was totally devoid of ambition’…[p7]…Her husband was, in her words, ‘still a child’, satisfied with his limited world. She hoped her eldest son would escape his father’s..life, and [Herbert] Hoover would be a superb role model, if only she could attach her son to him. Strauss shared his mother’s twin motives. ‘My idea,’ he wrote at the time [c.1917], ‘is to serve under Hoover..and..study this great man’s methods.’ ” [p10, No Sacrifice Too Great] Hoover had recently gained fame in the United States for first aiding the safe passage home of thousands of Americans stranded in Europe by the war, and secondly, for leading a war-zone food distribution known as the Commission for the Relief of Belgium (CRB). When the U.S. entered the war in April of 1917, Hoover was called away from his business in London by President Wilson to head a new agency, the U.S. Food Administration. Rosa Strauss hung Hoover’s portrait in the family living room and urged her son to go and meet him in Washington. What no memoir (yet found) records about Lewis Strauss at this time is his apparently simultaneous acceptance of a post as the president of the Jewish Hospital for Joint Diseases (HJD). The hospital was originally set up in 1905 inside a Rothschild family residence at 588 Lexington Avenue (Manhattan) New York as a drug dispensary, run by the brothers (in-laws) Henry and Herman Frauenthal. Henry Frauenthal later published the most extensive medical manual on the crippling disease of polio up to its time, in 1914. http://polioforever.wordpress.com/henry-frauenthal/ . Henry Frauenthal, who survived the fated sinking of the Titanic in 1912 with his family, was married to Clara Heinsheimer, sibling of Kuhn Loeb & Co. partners, niece and nephews of the founding Loebs, related by marriage to Schiffs, Warburgs, and Seligmans. Young Strauss held his hospital presidency for 8 years or longer (1917-1925), but his experience on the job is no more than a dot in an historical document issued by the Montefiore-NYU medical complex that came to absorb the hospital. Were it not for a minor notation, Strauss’s years at the HJD would be rendered invisible. And those were boomtimes. The Frauenthals’ orthopedic business increased so greatly that a new 8-story building was needed with an entire floor (at the top) dedicated to X-ray/radiology. Strauss was the documented leader during this expansion. Not bad for a young man whose personal interests were “physics and photography”. Polio too was undergoing a great expansion: 1916 New York endured the highest case rate of concentrated polio in its history– 9,000 cases, nearly a third of them fatal. The epidemic erupted in August just days after a major explosion rocked the NY Harbor railhead known as Black Tom Island off the Jersey shore. News reports told of more than 50 deaths on the New Jersey side. The shipping goods, all European-bound materiels for the Allies, were completely incinerated– Black Tom Island burned for 2 weeks and was determined to have been German sabotage. Prosecution was delayed more than a decade and became part of the additional reparations demanded from Germany before WWII. The case also made the reputation of an up-and-coming lawyer named John J. McCloy, who, among other things, helped establish and serve the Salk Institute and the Warren Commission. In 1917, director of the Rockefeller Institute for Medical Research (RIMR), Simon Flexner, had procured the first experimental polioviruses from dead post-Black Tom polio victims. The virus type was dubbed “mixed virus” (MV, ‘mixed’ in the brains of living monkeys), a dangerous neurotrope that frightened many of the lab workers who came in contact with it. HJD personnel were accustomed to sharing the labs at the RIMR, which today bills its founding mission as the study of poliomyelitis and the pasteurization of milk. HJD became a renown polio center, perhaps the only polio hospital in the world at the time; Strauss was part of it, and they were well placed to know of polio’s significance as a radiation-induced disease that can emerge months or years after irradiation. The poliovirus made in labs has been called “the perfect human off-switch” and a “guided missile headed straight for the brain”. If I had to guess about the medical Maccabees, who they were and what interested them, I wouldn’t need to look further than the HJD and RIMR, a force combination of Rothschilds and Rockefellers. A last note on the Hospital for Joint Diseases here concerns the resident polio expert Henry Frauenthal after this WWI timeframe. Not long after Lewis Strauss resigned in 1925 and signed up for Naval Intelligence, on March 11, 1927, Henry Frauenthal plunged to his death from the top of the hospital and Clara Heinsheimer Frauenthal was commited to an asylum for the rest of her life. These were not the only methods studied and adopted by Strauss. “Two years with Hoover not only led smoothly to Strauss’s job with Kuhn Loeb but left their mark on Strauss’s personality as well. A loner since his shoe-selling days [after highschool], Strauss now hid himself further behind a shield of coldly polite formality very much like Hoover’s own…. Strauss also found in Hoover a model of impatient leadership, unwilling to compromise, who bossed rather than led. Like him, Strauss assumed that once he had thought a question through to a conclusion..others must follow simply because he was right. This..would carry him ahead quickly in banking.” [p27, No Sacrifice Too Great] But earlier, before he had congealed in his Chief’s style, and about to leave for Britain on the first mission of the USFA, “Felix Warburg called on him… Warburg told Strauss..Hoover’s private secretary could perform a great service to his people… Strauss leapt at the opportunity…[p16, ibid. ]..and he also saw that if he did his work well, he could not fail to impress Warburg…[p17] Strauss had agreed to serve the JDC [Joint Jewish Distribution Committee]..before he left New York. He became administrative coordinator, trouble shooter, and financial agent for a network of JDC workers who fanned out into the cities of Warsaw, Prague, Vienna, and the surrounding countryside…[p23] All cables from the JDC headquarters in New York passed through his office, as did reports from JDC agents in the field. Strauss located surpluses in the depot of the U.S. Army, organized transportation, and arranged for payment… In addition, under the auspices of the JDC, Strauss..fought against overt anti-Semitism...[p24]…Strauss’s work for the Joint Distribution Committee led directly to his next career. Felix Warburg..and Harriet Loewenstein, the head of the JDC’s team in Europe, saw a bright future for the intelligent, ambitious young man. They thought about bringing him into their firm, Kuhn Loeb & Co, where Warburg was a partner and Loewenstein an accountant.” [p26, No Sacrifice Too Great]. Mortimer Schiff, on Red Cross business in Paris during the 1919 Versailles negotiations, delivered the offer. On this second and long leg of the mission in Paris, while Strauss was flexing his cultural muscles with the Strauses and running the operations of the JDC, his daily tasks were focused on the post-war work of the American Relief Administration (ARA) which recast the wartime USFA into a reconstruction project. The USFA ceased to exist upon the signing of the armistice, November 11, 1918. “Hoover established the ARA, like the Food Administration, without organization charts or ponderous bureaucracies. He..found a way to staff the ARA cheaply by using American soldiers..who could not return..because of the shortage of ships. He took on 2,500 men..paid by the army and navy and hence cost the ARA nothing. Hoover organized them..with a simple mandate: ‘Set up the machinery of economic rehabilitation.’…The ARA rebuilt and managed a railroad system…cleared and opened ports, canals, and the Danube River; and..stepped in to operate the mines on a supranational basis. When typhus began to spread..killing 100,000 people a week, the ARA set up a containment line, stopped movement..across it, and then sent delousing teams..to stamp out the epidemic… Strauss worked at the center of the ARA. From the original two rooms at the Hotel Elysee-Palace the headquarters grew to fifty offices… As in Washington, Strauss controlled access to the Chief, drafted letters, and supervised execution of the Chief’s orders.” [pp 18-19, No Sacrifice Too Great] He even participated in high-level doings: “Strauss spent some time in conferences with President Wilson and other key officials” [p21]. “Strauss served as intermediary for a diplomat from Finland, Rudolf Holsti…Strauss became Hoslti’s benefactor and Finland’s champion.” [p20] “.. the country of Finland, which he..helped establish in 1919.” [p60, ibid.] Are Finnish schoolchildren taught that Lewis L. Strauss is a founding father of their country? It may have an unappreciated significance to Americans that many of the anti-communist Russians who banded together in Dallas Texas and extended their friendship to Lee and Marina Oswald had originally been funneled through Finland on their flight to the United States. “The First World War helped transform the American Red Cross into a powerful social force. At the outset of the war, the ARC had 562 chapters and about 500,000 members… by the end of the war, there were 3,724 chapters, 17,000 branches, and over 31 million members… The main tasks of the [ARC] War Council were to raise great sums of money..to run the Red Cross..transforming it into an efficient arm of the government.” http://www.redcross.org/museum/history/00-19_b.asp; “The chairman of its Central Committee was Wilson’s presidential predecessor William Howard Taft...” [p128, The Great Influenza, by John M. Barry] Spanish Flu, the pandemic begun in February of 1918, ravaged the American delegation at Versailles; Colonel House sickened with it 3 times and Pres. Wilson’s bout caused him to “lose his fire”. Wilson suffered a major stroke later in 1919 to the detriment of his policies such as Prohibition, which he opposed. The American Red Cross was founded in 1881 by Adolphus Simeon Solomons, agent of the Baron de Hirsch Fund, and chartered by the Swiss headquarters in 1892. Clara Barton became the chapter’s president and Solomons served as vice-president. Barton and Solomons attended the 1894 Geneva Convention in which Solomons was elected to the vice-presidency of the International Red Cross. Kuhn, Loeb & Co. started out in Indiana as a dry goods merchant, trader, pawn, and promissary note exchange, establlished in 1867 as the firm of Kuhn, Netter, Loeb and Wolff. In 1885 Solomon Loeb’s son-in-law, Jacob Henry Schiff, bought out Abraham Kuhn for proprietary control and became president. Kuhn Loeb put the big money on railroads; e.g. Chicago and Northwestern, Pennsylvania, Chicago Milwaukie & St, Paul. In 1901, with Kuhn Loeb funding, Edward H. Harriman “famously battled James Jerome Hill and J.P. Morgan to acquire control control” of the Union Pacific Railroad. Kuhn Loeb “also joined a partnership with Rockefeller in 1911 to gain control of [Morgan’s] Equitable Trust Company which was later to merge and become Chase Bank.” Incidently, in 1911, the Equitable Building in New York had a fire that burned the Union Pacific’s records. The Strauss family tree is another area in which privacy (obfuscation or blankness) prevailed. Lewis Strauss named no other family than his parents, brother, and son. He mentioned a “rich uncle in New York”. The biographer included his grandparents and acknowledgement to LLS’s descendents. Going further is a matter of guesswork, however, if records of correspondence are any guide, Lewis Strauss had made significant contact with the extended Straus clan (alternately spelled with two ‘s’s) as a teenager, several years before his meeting Oscar and Sarah in Paris. The families had much in common with both patriarchs arriving as latecoming “48”ers, fleeing the Marx-inspired Revolutions of 1848. They came from the same region south of Frankfurt (between Darmstadt and Karlsruhe) and started out as dry-goods peddlers with “horse, buggy, and benefactor” in the rural countryside until they each afforded purchasing a store. Leopold Strauss (Lewis’s grandfather) settled in Culpeper Virginia. Lazarus Straus (Oscar’s father) settled in Talbotton Georgia, coming to the U.S. under slightly different circimstances –at an older age than Leopold, with a wife and five children. Leopold was about 18 years old and unattached; he married his benefactor’s daughter, Caroline Lowenthal, and raised 11 children. Oscar Solomon Straus (1850-1926) was 46 years older than Lewis Strauss, the youngest of his four siblings, with 3 older brothers. Two of them made their indelible marks on history; Isidor (1846-1912) and Nathan (1848-1931), who co-owned R.H. Macy’s and Abraham & Straus department stores. http://en.wikipedia.org/wiki/Isidor_Straus; http://en.wikipedia.org/wiki/Nathan_Straus ; http://en.wikipedia.org/wiki/Oscar_Straus_(politician) Isidor and his wife, Ida Blun Straus, were killed with the sinking Titanic, leaving the stores largely to their sons. Nathan, who retired after Isidor’s death, achieved renown for his Zionism and worldly effort to pasteurize milk. Nathan’s laboratory in Palestine became the manifest anchor establishment of the Weizmann Institute for Scientific Research. The two brothers had owned their Abraham & Straus property jointly with Simon F. Rothschild, whose older brother Louis Frank Rothschild (married to Cora Guggenheim) was the lifetime executive treasurer of the Hospital for Joint Diseases. It’s a plausible theory that Leopold and Lazarus were brothers, descended from large merchant families of traveling salesmen who sent their offspring into the countryside to stake out territories for themselves and their own families. The greater Strausses from southwest Germany, relocated to the U.S. between 1840 and 1860 would have been “cousins” and second cousins. They are still painstakingly rediscovering each other today from meager stories of the past. Back then, some would have fled the revolutions as armed combatants deliberately veiling their origins –perhaps, especially, Leopold Strauss. The training days of Lewis Lichtenstein Strauss in which he did his job well, to summarize, began in 1917 with dual appointments; the hidden executive of a Rothschild medical enterprise and their special envoy in war organization. Alliances forged through these experiences became the significant relationships of his professional life. Proof of Strauss’s mettle as a prince of Maccabees was rewarded with riches and marriage. He then acceded to numerous high-ranking offices such as the executive of the American Jewish Committee and the Jewish Agricultural Society. Next step was an officer’s commission in military intelligence as a Lieutenant Commander in the Naval Reserve, assigned to the New York district under the command of Paul Foster. Foster and Strauss became “close friends”. He was, by now, a most trusted servant. “A promotion greeted Strauss in his return from Japan. As of December 31, 1926, he held sole power of attorney. His signature alone on a contract or check could commit Kuhn Loeb…His compensation for 1927 exceeded $120,000… enhanced authority meant that he negotiated on his own… [H]e began to make contacts among the managers of [steel producers] Youngstown, Bethlehem, Cleveland Cliffs, Inland and National…. Strauss was clearly a young man to watch…” [p37] And “when Herbert Hoover made another bid for the presidency, Strauss threw himself into the campaign… He took charge of..the South…then moved quickly to mobilize support for Hoover among southern bankers” [p38, ibid], resulting in a “great victory” celebrated at the Hoover home in Palo Alto. >>>Christian Archibald Herter was a descendent of “48”-ers (named Hagerlocher) who immigrated to New York’s Lower East Side and established an exclusive furniture business catering to industrial nouveau riche. Christian’s uncle, also named Christain A. Herter, was an experimental biologist who inspired J.D.Rockefeller Jr. to an interest in medicine. Uncle C.A. Herter died in 1910 at age 45 of a neurological wasting disease, thereafter bearing his name (Gee-Herter disease). As Eisenhower’s second Secretary of State, C.A. Herter provided the crucial ‘nuclear briefing’ to president-elect John F. Kennedy. Eastman Kodak was one of the great corporate success stories of the 20th century and George Eastman was in the top 25 of richest Americans by WWI. Kodak’s early commercial success was built on the production of x-ray film plates. In 1912, Dr. C.E. Kenneth Mees, “acquired” through merger with a British firm and made vice-president, established the Kodak Research Laboratories. Mees was a pioneer in aerial photography technology, and by his efforts Kodak participated in defense work using a Rochester lab on the Genesee River called “Hawkeye“. In the early 1920s, the Hawkeye plant was making the Barnes camera (developed by plant manager F.W.Barnes), the first 16mm movie camera. http://www.city-net.com/~fodder/16mm/film.html Kodachrome would become Kodak’s stock commercial movie film. In time, Hawkeye produced classified aerial maps for the NRO and CIA (i.e.Project Bridgehead) and prepared the images of Soviet missiles in Cuba that were shown to JFK in October of 1962. The Zapruder film copy that came into the hands of Navy photo analysts on the weekend of JFK’s assassination is said to have been processed first by Kodak’s Hawkeye works. Two years before Strauss met Godowsky and Mannes (1920) George Eastman funded the creation of the Rochester University School of Medicine and Dentistry and its affiliated Strong Memorial Hospital under the courtship of Abraham Flexner: “one of the most astute medical statesmen and administrators the United States has ever produced–Dr. Abraham Flexner, at the time secretary of the Rockefeller General Education Board.” http://www.lib.rochester.edu/index.cfm?PAGE=2326 Abraham Flexner was not a doctor though his older brother Simon Flexner had earned the title through a one-year medical course in Louisville Kentucky, the very kind of school that the Flexners sought to shut down. Abraham, the educator, wrote a national medical school survey report called the “Flexner Report” (1910), used by the AMA, Carnegie and Rockefeller foundations to leverage compliance to ‘standards’ in exchange for funds. The new Rochester school was to be a model of Flexnerian innovation emphasizing research. During WWII, Rochester M & D and Strong Memorial were the headquarters of Manhattan Project human medical experiments with radionuclides and fluorine. >>>Grand Rapids, Michigan was the first U.S. city to institute fluoridation…Gerald R. Ford was Grand Rapids’ congressional representative from 1949 to 1973 ..(and also on the Warren Commission)…[read more about fluoride http://polioforever.wordpress.com/fluoride/]; a third Flexner brother, Bernard Flexner, lawyer and protege to Kuhn Loeb lawyer Louis Brandeis, was a leader of the 1917 Red Cross Mission to Russia and Roumania and 1922 founder of the Palestine Economic Corporation. Harry Byrd’s cousin, Texas oilman D.H. Byrd, was the owner of the Texas Schoolbook Depository building and according to Russ Baker’s book (Family of Secrets), D.H.Byrd had formerly employed Oswald’s handler, George DeMohrenschildt. DeMohrenschildt is noted to have been a dealer in uranium. Marie Curie’s radium was made from a stock of pitchblende found in the uranium waste of the Joachimstal mines. Little is known or said about her sponsors motives, however uranium pitchblende ore was already in use in the U.K as a steel-hardening alloy, shipped to London in 1872 by a British mining agent Robert Pearce who sold his 3-ton cache for $7,500. Pearce found the pitchblende in Gilpin County, Colorado and soon pockets around the Colorado Plateau were yielding high grade ore. By 1911, Colorado ores bearing radium were sent to Pittsburgh for processing and reduction by the Standard Chemical Company, the largest supplier of its time. Radium came on the market in those days at a cost of $150,000 per gram. It does not take a detective’s eye to follow the early development of atomic energy. Rutherford’s 1904 statement is a clear indicator of the groundbreaking path, known to his fellow conferees. Radium marketed as a medical miracle generated capital, industriousness, and intense scientific interest. It was a like substance and stand-in for all uranium products, including plutonium which didn’t yet exist. Under the auspices of Belgian Relief and the U.S. Food Administration, the assumed contacts were made to corner the radium market with ore from the Belgian Congo: …”We had both [Sengier, president of Union Miniere du Haute Katanga, and Strauss] been connected with Hoover’s Commission for Relief of Belgium in World War I, and our friendship dated from those days” —Lewis Strauss [p317, Men and Decisions] The Union Miniere built an exclusive facility and put its radium on the market in 1922 at lower cost (roughly S100,000-120,000). In the prior year, another assumed advance occurred in which a demonstration of fission was offered to Albert Einstein while visiting Prague (assumed that Einstein accepted and the offer came from Leo Szilard). Einstein was scheduled to travel to the United States with Chaim Weizmann on a Zionist fundraising tour –which he did– and then returned to Prague straight away to arrange a special laboratory where he began working with Szilard. Fission was made possible by the advent of particle accelerators. Pennsylvania’s Standard Chemical Co., domestic radium supplier, was out of business by 1926 and the Belgians remained unchallenged in the field of radium distribution until the Canadians discovered the Great Bear Lake region in northern Saskatchewan. “..the Canadians..brought in their mines from the distant Northwest Territories in 1931 thanks to ‘flying wheelbarrows’ and bush pilots… [Boris]Pregel said, “The monopoly of radium which Union Miniere had went on for many years till the Canadians came in with their own material [and] their refinery, Port Hope… they began to sell, to compete with the Belgians. They did it because they didn’t have the necessary distribution channels… practically nobody…”. https://jenniferlake.wordpress.com/2012/01/13/jfk-conspiracy-con-iii/ (Part III) And practically noboby left records of how the Canadians managed to compete, but the prices dropped according to statements, for the first time below $100,000 per gram. Most importantly in this period of the early 1930s, is the continuation of nuclear technology developments in settings of medical research. Hospital labs became fundamental proving grounds for isotopes and particle accelerators, and radium was still the most expensive drug on the market. Lewis Strauss wrote, “Following the deaths of both my parents (in 1935 [not?] and 1937), I became aware of the inadequate supply of radium for the treatment of cancer… the demand was so great that the stock was divided into milligrams. Dr. James Ewing, then director of Memorial Cancer Hospital in New York, told me that if he had enough radium he would construct a ‘bomb’ holding several grams, which he felt might be the answer to the treatment of deeply located cancers.” [p163, Men and Decisions] To this end, Strauss claims to have struck up a relationship with physicists Leo Szilard and his colleague Arno Brasch. From Strauss’s own correspondence records, the exchange with Szilard began in 1934 –significantly the year in which Szilard patented the first known nuclear reactor. Strauss privately arranged to buy a particle accelerator from Brasch through his relative, Isbert Adam, a business broker in Havana Cuba. The ‘surge generator’ and the scientist were both slated for a destination at the Kellogg Radiation Laboratory , part of the California Institute of Technology (Caltech). Caltech, under the direction of Strauss’s professed ‘idol’ Robert Millikan whose textbook inspired his devotion to physics, was then the center of advanced U.S. study in genetics and aeronautics, ( Guggenheim Aeronautics Laboratory at Cal. Inst. of Tech. (GALCIT) and the new Jet Propulsion Laboratory) headed by Theodore von Karman. Von Karman, himself an Hungarian immigrant, was ‘spiritual father’ to the small group of four Hungarian scientists who were nicknamed the Martians –they were, Edward Teller, Eugene Wigner, John von Neumann and Leo Szilard. Wigner and von Neumann were secured in resident lifetime fellowships in 1930, not long after the Guggenheim Aeronautics lab was created, at a new East Coast counterpart at Princeton, the Institute of Advanced Study [IAS]. Albert Einstein had also been contracted to the IAS in 1930, coming later in 1933. Princeton’s IAS was founded by “Dr.” Abraham Flexner (same as Rochester Medical) with funding from the Bamberger department store fortune –Lewis Strauss joined its board of directors during WWII and became its chair concurrent to his executive with the Atomic Energy Commission. The first nuclear technologies then, X-rays and radium, were delivered into the world at the very time of Lewis Strauss’s birth –he may have taken great meaning from it as a talismanic guide in “God’s purpose” for him. Eisenhower’s offer of “permanent chairman” (1958) for atomic energy was merely acknowledgement of what had already been. Virtully every step of this man’s life was in furtherance of achieving the most powerful weapons ever created on behalf of an ancient cult of racist assassins to whom he owed his glory. It is the most salient fact of his existence, and he stopped at nothing for its gain. Lewis Strauss thought to write in his 1962 memoir that after he started his new banking career (9-19-19) and took his relief activities to a higher level, in April of 1920, “about that time, I was reading Joseph Conrad and suffered from troubled dreams of leaky ships, overcrowded with men and foundering in tropic seas.” [p74, Men and Decisions] It was the only instance in the memoir that Strauss mentioned his personal reading material. JPK’s closest partners in the FBO venture included Louis Kirstein and Guy Currier. Kirstein, who ran the Filene’s department store in Boston, was “a man of many interests” and “one of the outstanding leaders of American Jewry..[as] chairman of the General Committee of the American Jewish Committee… national chairman of the United Jewish Appeal, the leading fundraising agency for..Palestine…[and] he acquired a role similar to that of Jacob H. Schiff and Felix M. Warburg…striving [for] cooperation of all sections within the Jewish community for one common purpose.” Strauss was then, and continued to be, on the executive of the American Jewish Committee. The first approach was an overture from Kennedy to Frank J. Godsol, the president of Goldwyn Pictures. Sometime between 1921 and 1922, Godsol had engineered the ousting of Samuel Goldwyn from his own company –Godsol had a colorful past. He was the son of Russian jewelry dealer in Cleveland who made an undisclosed fortune “in the West” as a very young man, and then expatriated himself to Paris France where he first sold imitation pearls (called Tecla pearls) through exclusive shops and then became a war armaments dealer to the French government. Shortly after Godsol tookover Goldwyn Pictures, it was bought in 1924 by Marcus Loew of Loew’s Incorporated, perhaps the largest theater corporation anywhere. Legend has it that Kennedy enriched himself as a rumrunner in the 1920s, though often disputed and demonstrably out-of-character. Kennedy may have walked close to the line, but there’s no evidence that he personally crossed it or encouraged it for his own benefit. He creditably took his movie earnings after selling out to RKO, allegedly before the crash of ’29, and leveraged them into legal distributorships of distilled spirits, positioned to claim an ample market share at the end of Prohibition. These maneuverings for liquor rights brought him into direct competition with Samuel Bronfman, who expected those very same licenses to be his. Bronfman’s venom for Joe Kennedy overflows from the Bronfman family history up to the present. The Rockefeller family themselves had just recently completed (in 1927) a merger between their own Standard Oil and the Warburgs’ I.G.Farben to create the largest industrial chemical combine in the world. http://polioforever.wordpress.com/the-rockefeller-institute/ This timeframe also saw Strauss join the Office of Naval Intelligence, renew the ties of Kuhn Loeb with Japan and receive the full-fledge of the company, followed by the fatal plunge of polio doctor Frauenthal from the Jewish Hospital for Joint Diseases. Strauss’s biographer added, “The fundamental ground rules of investment banking changed as a result… the integrity of the banker lost most of its importance in the new climate, where the government interposed itself to watch over the honesty of representations made to the investor. The slow pace of the past..disappeared… [Strauss] won some new clients for Kuhn Loeb, especially in the steel industry [one of the most cartelized] and his personal fortune continued to grow, but the profession had lost much of its appeal.” [pp46-47, No Sacrifice Too Great] Strauss took a nearly wistful posture in his own memoir, reflecting on his ascent: “There were then fewer great houses and far fewer partners in those firms. The rewards were large, taxes were low, and the difficulties which brought the Securities and Exchange Commission into existence were not then in the lexicon… The men engaged in it generally commanded large personal fortunes..and conducted themselves like princes… This aspect of investment banking has almost disappeared with the institution of competitive bidding for..financing, a competition which severed the traditionally close and mutually beneficial relationship between the borrower and the banker.” Ironically, big banking was forced into competition as big business turned anti-competitive, yet it prevented the system from toppling in on itself and staved off the march into fascism for another war. Still, the bitterness in Strauss comes through. He took it personally, Bronfmanesque, as if Joe Kennedy was touching his nerves. Just as physically close, perhaps, was FDR’s next assignment for JPK as head of the Maritime Commission, originally incarnated as the WWI Shipping Board and led by another Strauss intimate, Albert D. Lasker. Lasker was Strauss’s senior in age, wealth and status; a member and executive officer of the American Jewish Committee (1917–) alongside Jacob H. Schiff and notable war organizer Julius Rosenwald, owner of Sears Roebuck &Co. Lasker’s AJC position is noted in the famous book created by the AJC in 1920 denouncing the Protocols of the Elders of Zion titled “The ‘Protocols’, Bolshevism and the Jews” http://archive.org/details/cu31924087981175 His collaboration with Strauss was a key function in what became Strauss’s most self-important investment –his image as a great cancer-fighter and medical research philanthropist. Julius Rosenwald, in turn, was close to the Flexner brothers –Simon, Abraham and Bernard– swapping a voluminous amount of correspondence in particular with Abraham Flexner, “the educator” who authored the medical school survey report of 1910, co-founded Rochester’s School of Medicine and Dentistry and Princeton’s Institute for Advanced Study. The elder Simon was the first Director-President of the Rockefeller Institute for Medical Research (RIMR), and the younger Bernard was a protege of Louis Brandeis and leader in the Zionist movement. Rosenwald’s closest lifelong friends were banker Henry Goldman and Henry Morgenthau Sr.
Henry Goldman financed his friend Rosenwald’s rise at Sears Roebuck, making $10 million for Goldman Sachs at the first public stock offering in 1906 and helping to turn Sears into the “largest store in the world”. Two points of singular interest emerged from this friendship: Goldman’s cash support of the physicists Max Born and Albert Einstein in Germany (who made his first ‘fundraising visit to the U.S. in 1921 with Chaim Weizmann) and Rosenwald’s preparation for the coming ultimate weapon. “Largely unknown to the public is the many and varied sites that made up the Manhattan Project. The University of Chicago’s Metallurgical Lab (Met Lab) included a location inside the Museum of Science and Industry, created at the urging of Rosenwald patriarch, Julius Rosenwald, who proposed the museum project in 1921 and provided $7 million for its development. The MSI took over the standing Fine Arts building in Chicago: ‘Vacant since 1920, the building required extensive renovation, which began in 1929.’ The public was invited to tour the new MSI in 1933 during the ‘Century of Progress Exposition’ world’s fair when 10% of its space was available for exhibits, but delays and unprofitability plagued the MSI until ‘A turning point came in 1940, when the board of directors lured Major Lenox R. Lohr (1891-1968), the head of the National Broadcasting Company..to its presidency.’ http://www.encyclopedia.chicagohistory.org/pages/859.html; Lohr earned his stripes in the Army Corps of Engineers, edited the ACE journal ‘The Military Engineer’ until 1929, resigned the Army and joined the Naval Reserves as a Lt. Commander (1929-1941). Lohr was NBC president from 1934 to 1940, under RCA parent David Sarnoff… ‘During his twenty-eight years as head of the Museum, Lohr also organized.. the Military-Industry Conferences in 1955-1957.’ http://www.uic.edu/depts/lib/specialcoll/services/rjd/findingaids/LLohrf.html Rosenwald’s museum, and its subsequent use for the Manhattan Project, is one more enterprise that gives evidence of early atomic weapons development covertly played out in the 1920s and ’30s.” http://polioforever.wordpress.com/dr-marys-monkey/jfk-assassination/ It is assumed until definitively proven that the contract extended to Einstein for Princeton IAS residency was the result of the Goldman-Rosenwald-Flexner connection. The senior Rosenwald, along with Jacob Schiff, was preeminent among American Jews for his patronage in areas of Jewish colonization and agriculture: i.e. “Most of the wealthy Jews who funded projects in Palestine were not Zionists… The Technikum (now Technion)..was launched [c.1912] with two large gifts: one..from..a Moscow millionaire, and one hundred thousand dollars from Jacob Schiff.”[ p137, Mostly Morgenthaus]… As a fitting climax for [Ambassador] Morgenthau’s Palestine excursion, [Rabbi] Wise arranged a visit with the fabled..agronomist Aaron Aaronsohn…[who had]..some of the United States’ most powerful Jews support for his agricultural experiment station at Athlit, outside Haifa. Morgenthau was impressed by its all-star board of directors, which included Julius Rosenwald as president, and Paul Warburg, Henrietta Szold [Hadassah], Louis Marshall and Judge Julian Mack.” [p146, Mostly Morgenthaus, by Henry Morgenthau III] Rosenwald was promoting contemporaneous ‘scientific’ agriculture in the U.S. as well, which placed a new emphasis on the use of chemical pesticides and fertilizers among other practices. Julius Rosenwald died in 1932, the “miracle year in physics” and the expanding legacy passed to his five children. The eldest sibling, Lessing J. Rosenwald (1891-1979), tookover the business of Sears. William watched over the philanthropies which included special funds for ‘rescue’ and relocation beginning in the spring of 1933 and both sons joined the executive board of the American Jewish Committee. Lessing and Lewis Strauss were later co-trustees of Princeton’s Institute of Advanced Study together after WWII: noted in the 1945-46 IAS Bulletin with Strauss serving as vice-chairman of the board. Strauss first offered the directorship of the IAS to Robert Oppenheimer in this capacity. http://library.ias.edu/files/pdfs/bulletins/Bulletin12.pdf. Sister Edith Rosenwald married cotton merchant Edgar Bloom Stern of New Orleans where the pair founded radio station WDSU in partnership with their older son who expanded into television. WDSU, for a long time New Orleans only tv station, gave legendary airtime to Lee Harvey Oswald for the construction of his image as a Marxist. The Sterns have been identified as silent partners in Pennsylvania’s Nuclear Materials and Equipment Corporation, a company charged with diverting and smuggling radioactive fuels to Israel, and with using its workforce as human lab rats for “fallout studies”. Among the IAS’s most famous resident scholars were those in the small group known as the ‘Martians’, formerly Hungarians from Budapest who kept close ties throughout their careers. The group included ‘old friends’ such as Theodor von Karman who headed Caltech’s Guggenheim Aeronautical Lab in Pasadena, Dennis Gabor (high-voltage physics), Edward Teller and Leo Szilard who both went to Chicago’s Metallurgical Lab for the MED (Manhattan Project). John von Neumann and Eugene Wigner were the first of the group to settle in Princeton. Albert Einstein, more as their spiritual father and long committed to Zionism, established himself there over the course of 1933-34, coming to the U.S. as a “refugee” by way of the British Bahamas. In 1933, the British were “saving science”: through the leadership of the London School of Economics, Leo Szilard was “rescued” from Vienna and appointed administrative secretary of the Academic Assistance Council, England’s premier placement agency for the exodus. Some of Szilard’s most valuable behind-the-scenes activities were done in concert with Lewis L. Strauss but the extent of those activities is still unknown to the public today. “Through Szilard’s letters Strauss was able to keep track of the furious pace of discovery” [p54, No Sacrifice Too Great]. The official record of letters begins in 1934, perhaps containing the seeds of the surge generator project with Arno Brasch, but also Szilard’s own technical and experimental accomplishments which in 1934 meant a patent for a nuclear reactor –the world’s first. Szilard evidently looked to Strauss as his banker-benefactor in the way Born and Einstein engaged Henry Goldman. “…during the 1920s, Szilard and Einstein shared 20 joint patents..for..refrigerators… [T]heir concept became essential in the 1950s..to run another Szilard invention, the breeder reactor…[refrigeration was crucial to the first ultra-low temperature ‘thermo’ nuclear H-bombs]…”After World War II, Szilard shifted from physics to arms control and biology… Szilard actually became a Princetonian for a few years in the early 1950s when he moved into Drumthwacket [mansion]..then the home of Abram Spanel..[who] headed the International Laytex Corporation… [then] he helped found the Salk Institute for Biological Studies in La Jolla, CA, where he was a fellow until his death in 1964.” –W. Lanouette. Eugene Wigner “designed the very large plutonium producing reactors constructed at Hanford Washington” making plutonium for the ‘Trinity test’ and ‘Fat Man’ bombs, and uses thereafter http://web.gc.cuny/edu/sciart/0405/transcript.htm; and took charge of the radioactive isotope program at Oak Ridge Tennessee. IAS was not merely centered on math and physics. Cultural “social” sciences, psychology, and active foreign exchange programs were part of the roster; many of those scientists stayed in the U.S. and found placement in government and industry. TIROS stands for Television Infrared Observation Satellite and “was the first satellite..capable of remote sensing of the Earth… Participants in this satellite project included [NASA], US Army Signal Research and Development Laboratory, Radio Corporation of America, the U.S. Weather Bureau and the United States Naval Photographic Interpretation Center” [http://en.wikipedia.org/wiki/TIROS] which processed its classified photography through the Kodak Hawkeye Works. The biographer Pfau stated Strauss’s opinion of Franklin D. Roosevelt: “In 1918 Strauss and Hoover had met Roosevelt in Europe but they dismissed him as a spoiled dilettante of little ability and nothing in the interim had changed their minds.” [p44, No Sacrifice Too Great] On the subject of the Oct-Nov trip to London, Pfau writes, “Strauss recalled that ‘the entire conference was an idea of the Zionists.’ Strauss’s main goal, as representative of the American Jewish Committee, was to prevent the Zionists from dominating… he proudly reported to the [AJC] at the end of the conference ‘our autonomy is unimpaired.‘” [pp 50-51, ibid.] Despite the rhetoric and power struggles, relief and rescue united the contentious factions of Zionists and Anti-Zionists, displaying the methods in division of labor. “Bankers’ Choices” would describe Strauss’s activity in these times: getting the best returns on investment. There were, perhaps, many hundreds of rescue organizations and those in which he was an officer were oriented to colonization. Some appear in this list such as the American Jewish Joint Agricultural Corporation and the American Society for Jewish Farm Settlements in Russia Inc. http://displacedscholars.wordpress.com/z/ Leo Szilard proved out to be one of Strauss’s best investments. Szilard attended the October 1933 conference. According to Strauss: “Among the committees..was one of ‘academicians’ (scientists, educators, philosophers, mathematicians) and on that committee was a young Hungarian physicist, Dr. Leo Szilard, whom I did not meet but whose name I remembered some years later when we met under far different circumstances.” [p108, Men and Decisions] For Strauss not to meet Szilard, Einstein’s close colleague, at the conference is implausible in the extreme. Szilard was not only a great physicist, of deep personal interest to Strauss, but he attended in the capacity of co-founder and executive administrator of Britain’s Academic Assistance Council, it’s premier refugee agency for ‘saving science’. At the time, Szilard was ensconced with a day job in the St. Bartholomew’s Hospital London laboratory experimenting with isotopes, remembering the period as his nuclear epiphany– a day he stood at a traffic light and had a revelation about chain-reaction. In his AAC work, Szilard was uniquely placed to distribute scientific talent around the world and help to achieve weapons parity in a future arms race. His best friends in science were already working under contract at the Institute of Advanced Study. It’s only a short time after the London conference when the documentation of correspondence begins between Szilard and Strauss. Edward Teller wrote this remembrance: “I was surprised by how seriously the scientific community of Great Britain took the threat of Nazism. By April 1933, the British had begun a rescue operation on behalf of the scientists.. financed by the Imperial Chemical Industries (ICI), the British analog of I.G. Farben. Every scientist..who had ability..was being welcomed...” [p88, Memoirs, Edward Teller, 2001] ..”They accepted many more scientists than Britain could possibly use.” [p120, ibid.] Teller was sponsored to London after a year in Copenhagen with Niels Bohr. “I had met Szilard in Budapest… But at the time..I did not know him well. Szilard, like me, was a refugee, but his was an unusual case. He was influential… Szilard..also possessed a talent for anticipating the future. At Lindemann’s [Lord Cherwell] invitation, Szilard had gone to Oxford; there he was conducting..experiments with neutrons, the particles discovered..a few years earlier. Szilard had the idea that neutron bombardment..could produce..more and more neutrons and energy..resulting in a powerful explosion… Rutherford denounced Szilard’s ideas..[but] Szilard just became more determined to prove [it]…[p110] “His clash with Rutherford was neither the first nor the last time that his surprising and absolute pronouncements provoked a strong negative reaction. He even acquired a nickname, The General, among his friends… [Szilard] was never boring, and he always remained a friend.” [p111, Memoirs, Edward Teller] Teller himself arranged to emigrate from Britain to the United States at the end of 1934 where a tenured teaching position opened for him in Washington D.C. at GWU. He rejected an offer from “Princeton”(IAS) for lesser pay. Later, Teller and Strauss became formidable allies after WWII for building H-bombs along with the Berkeley Rad Lab leaders, Ernest O. Lawrence and Luis Alvarez. Although ignoring the subject of nuclear development, the very thin stream of information given by Lewis Strauss in his so-called autobiography, Men and Decisions, is a record appropos of timing by its 1962 publication. Washingtonians in the capital, and JFK’s administration in particular, were the intended audience for Strauss’s work. He wrote in the Forward, “In the main, this is..a book about other men..” The biographer, who published in 1984, continued the theme in his Preface, “This is not a ‘life and times’ biography… Neither is it the story of the private man…” In the last chapter of No Sacrifice Too Great, entitiled ‘Retired’, Richard Pfau wrote that “From retirement Strauss..tried to settle old political scores.” [p242], and apparently with meager but potent additions such as the ONI break-in on the anti-Hoover action, Pfau is extending Strauss’s reach beyond the grave. He reminds readers on the last pages that “Strauss the government servant..was austere, aloof..and calculating. Like Herbert Hoover..his model, Strauss maintained a facade for the public.” [p251, No Sacrifice Too Great] Both Strauss and Pfau played on a balancing act to reveal power and still maintain the facade. In the politically and historically astute milieu of Washington D.C., however, the hastily produced Strauss edition was a selective show of dangerous alliances which, I have no doubt, was meant and delivered as a threat. Far from a fate headed for the dustbin of history, Men and Decisions sold enough copies “to place it on the New York Times list of bestsellers” though Strauss indeed had the personal wealth to make that a reality (whether he did or not). How many readers, I wonder, might have perceived a dire reckoning in the making? To whom was it meaningful in 1962 that Strauss was heir to Jacob Schiff and the Warburgs; that he was the Jews’ War President; sponsor of “father of the bomb” Leo Szilard and Polaroid’s Edwin Land; that he was chosen as the “permanent chairman” of nuclear affairs and was still its leading global dignitary? Not lost on this group, the Kennedys, nor students of history, was the continuing chronology of Strauss’s Decisions. As a financier during the Great Depression, Strauss made a brief note about taking on a new client at this time –the Catholic Maryknoll mission, in the person of Father James Drought, its administrative officer. Strauss assisted the Maryknoll to recover and prosper and Drought became a “close friend”. By the mid-30s, Drought was aiding Strauss behind the scenes in unspecified ways to silence the famed Father Coughlin. Michael Beschloss describes “the weekly discourse of the Reverend Charles Coughlin” as an “indignant crescendo against the money changers, the Bolsheviks, the international bankers and, increasingly, Franklin Delano Rossevelt. The priest of the Shrine of the Little Flower posed, with Huey Long, the most serious single threat to [FDR]‘s reelection, or so [it was] believed.” Roosevelt “charged Joseph Kennedy with the responsibility of keeping the good priest on the reservation.” [pp 113-114, Kennedy and Roosevelt] Coughlin had become a formidable political force: “Sixty-six congressmen signed a petition asking Roosevelt to make Coughlin an economic adviser… Kennedy befriended the priest… ‘Joe was fascinated by Coughlin’s talent on the radio,’ James Roosevelt remembered. ‘He recognized it as demogoguery but revelled in what the priest could accomplish. He was intrigued by Coughlin’s use of power.’…By the end of 1934 Coughlin was poised to challenge Franklin Roosevelt. He formed his own political organization, the National Union for Social Justice… he informed his audience that..Roosevelt had ‘out-Hoovered Hoover’, protected plutocrats and comforted Communists… [A]betted by William Randolph Hearst and other isolationists, Coughlin led the fight against the president’s bill to bring the United States into the World Court.” [p117, ibid.] By 1936 “Kennedy urged the president to keep trying to mend fences with..Hearst and Father Coughlin… Coughlin announced to his radio audience that he and the president were now unalterably opposed.” [p122] After that, censure came quickly to Coughlin via the Vatican –he was ordered off the air. “..[Y]ears later, Father Coughlin in retirement, confided..that a deal had been struck” through the Pope’s emissary, Cardinal Eugenio Pacelli, that included a new office of the U.S. “presidential representative” to the Vatican. Two years later, Pacelli was invested as Pope Pius XII. No document known to this researcher describes the internal diplomacy or the involvement of Father Drought but Strauss treated his readers to this cryptic footnote: “there is a message from [Drought] to me [with] an excerpt from a letter to the Catholic clergy in America from [Pacelli] Pope Pius XII. The reference to Father Coughlin is oblique but Father Drought suggested that I note that results would follow, as indeed they did.” [121, Men and Decisions] Many people have been given the impression that Joe Kennedy arranged the censure of Coughlin, inducing the Vatican to exert influence on U.S. political affairs. Father Drought, under the guidance of Lewis Strauss and Herbert Hoover, later found himself in the center of one of the most tragic and lamentable events in modern times, attempting to secure a peace agreement between the U.S. and Japan in the year before Pearl Harbor. Strauss’s report on Father Drought, including a letter from the priest, is listed in the comments of the JFK Conspiracy Con (part II) https://jenniferlake.wordpress.com/2011/12/22/jfk-conspiracy-con-ii/; Drought died in 1943 from fatal injuries suffered in a plane crash. During the year in which Father Coughlin was dealt with and FDR was reelected, Strauss built a stone fortress on his Virginia estate and took an avid interest in developing advanced technology. In 1937, while shopping the Brasch-Szilard particle accelerator (of approx. 5-million-volt capacity) to his friends Irving Langmuir and W.D. Coolidge at General Electric, the men arranged an “opportunity to meet Ernest Orlando Lawrence” who was then building a hundred-million-volt cyclotron (circular accelerator). Strauss expressed his new “friendship” with Lawrence as “one of the finest experiences of my life” to last until Lawrence’s death. [p165, Men and Decisions]. The year prior, young physicist Luis Alvarez, brother of Lawrence’s secretary, came to the Berkeley Rad Lab and soon became the lab’s associate director. In a decade hence, after the Manhattan Project became the Atomic Energy Commission, Alvarez would design the largest particle accelerator ever built, the Materials Testing Accelerator (MTA), around which the Lawrence Livermore laboratory was constructed (1950-52). The MTA was conceived to convert uranium into plutonium for nuclear weapons and produce other “metamaterials” for experimental uses. Alvarez patented a much smaller version of this accelerator type in the months before John F. Kennedy’s assassination, and the Warren Commission made Luis Alvarez its key consultant in erecting a physicist’s proof of a lone gunman’s shot-from-behind in accord with the Zapruder film. Also in 1937, Lewis Strauss joined a small pool of investors to establish the Polaroid Corporation under its creator Edwin Land, the future “father” of the U2 spyplane. Alvarez,too, was a significant contributor to the U2’s optics, as he had been vital in the “lens” trigger of the plutonium bombs. In 1938, Temple Emanu-El elected Strauss war president, Hitler annexed Austria, and Germany had its 9-11, the Night of Broken Glass (Kristallnacht, November 9, 1938, written 9-11-38 and numerologically identical to 9-11-2001). Over the course of 1938, the rest of the essential assembly of physicists, including the traveling Szilard and Enrico Fermi, claimed their permanent residence in the U.S.
By 1939, Strauss, Hoover and Bernard Baruch had organized their US of Africa scheme for the very Heart of Darkness where the president of the Union Miniere du Haut Katanga, Edgar Sengier, began sending surreptitious shiploads of uranium yellowcake steaming to New York Harbor where they languished on the docks of Archer Daniels Grain Corp. Meanwhile, Sengier was aiding the French atomic bomb project in the Sahara and Strauss was visiting London, Paris, Joe Kennedy, and the “fragile and beautiful” sights of the Continent– he left Europe with his family on August 7 of 1939. Pfau picked it up: “The war then exploded in the west. Hitler seized Denmark and Norway in April 1940… six weeks after the attack began [on France], the French surrendered… Because..Japan was a nation [Strauss] remembered fondly, he wanted the United States to..seek peace with Japan. He therefore helped..mediate the struggle for mastery of the Pacific… Father James Drought..and Bishop James Walsh..called on Strauss for letters of introduction to important men in Japan… The priests sailed on November 11, 1940.” [pp61-62, No Sacrifice Too Great]; 13 months before Pearl Harbor. >>>Sachs previously gave mail delivery service to FDR on behalf of the famous Einstein letter, penned by Szilard, signed by A.E. on August 2, 1939 and delivered in October. Also in June of 1940, Albert Lasker married his third wife, Mary Woodard, in a civil ceremony performed by Judge Samuel I. Rosenman. In April of 1939 when they met, Albert and Mary were introduced three times on the same occasion before it stuck. Together over lunch at ‘Twenty One”, were friends William Donovan (of the OSS), Lewis Strauss, and Max Epstein who each took a turn at the match. Within a few years, the Laskers focused their combined acumen on the health industry, took control of the American Cancer Society, and rewrote the book on Washington’s medical lobby. As Strauss metered toward indispensability in weapons procurement and a place in the Pentagon’s hierarchy (then being built with a groundbreaking on 9-11-41), his colleagues in business and the AJC were taking the lead in war material management. Donald Marr Nelson and Lessing Rosenwald of Sears Roebuck led the War Production Board while a second enterprise with Sears’ Robert E. Wood and the silent participation of Rosenwald fizzled out– the isolationist America First committee. Strauss set up a condition of pique in the memoir linking the “Toland affair” with Forrestal, whose ‘leap’ out a high-floor window in Bethesda Naval Hospital in May of 1949 was a widely suspect murder. It was Forrestal originally that assigned Strauss to a counter-investigation on behalf of the Navy to track the source of information flowing to Congress and into the hands of its legal counsel Toland. Strauss produced a denigrating ‘anonymous letter’ about Toland for his Navy superiors, which Pfau relates was the object of Toland’s search. Afterward “Strauss demanded retribution. He complained..to anyone who would listen… the Navy did not want a feud. The vendetta subsided when Forrestal terminated Strauss’s work with the [Navy’s information] Clearing Office…but the under secretary did not want to waste time listening to Strauss’s complaint… Strauss turned in ten..pages [to Forrestal and] concluded, ‘You and the Navy,’ he wrote,’will have cause to regret any appeasement of Mr. Toland and I greatly fear it and hate to see you head into it.’ ” [pp 68-69, ibid.] Pearl Harbor had not yet occurred and “Strauss requested release from active duty..” so that he could return to full-time banking with Kuhn Loeb. The Navy was considering it until December 7, 1941. Strauss’s complaint with the Navy by then was its failure to promote his rank above Lt. Commander. Dr. Howard A. Rusk had since joined forces with the Laskers’ D.C. medical lobby and would soon count Joe Kennedy Sr. and JFK among his patients. Within weeks after JFK’s assassination, Rusk was invited to set up a new polio hospital in Taiwan; six months later the Chinese detonated their first atomic bomb. The disturbing selection of Nikko for targeting by Strauss is an ominous insight into his real nature. In every way, the “little village”, as he called it, was/is the spiritual heart of the Japanese, set among the most precious and preserved natural landscapes of their domain. Once the seat of power, home of its ancient culture, and destination of pilgrims, Strauss set his desire against them as one who carves out the heart of his defeated enemy and obliterates its spirit from the earth. Nasty man. Consolidation in “public health” took several forms. Under the wartime Armed Forces Epidemiological Board, a comprehensive Influenza surveillance and reporting system was initiated. The AFEB was stuffed with Rockefeller personnel who became officers and had their military salaries augmented by private funds. In 1943 Thomas Francis (formerly of Rockefeller Hospital) and Jonas Salk tested new flu vaccines from their base at the University of Michigan. According to Army records, the worst global pandemic spread of flu on record occurred in 1943, far outdoing the 1918-19 Spanish Flu by case volume. The pair later led the polio vaccine effort. on the AEC monopoly, presidential gatekeeping, atomic secret agents of the FBI, Robert Oppenheimer, etc. An interesting tidbit of history which may prove to become the motherlode of all conspiratory theories. Halo! Jennifer. We are All_ spread too thin, but what an amazing compilation of files_You have compiled and sourced. I have not read it all, but you are an authentic investigator and the way you present it unravels the puzzled paradox of ultimate global control. This is a sound warning to one’s sensibilities. I am a fan of your thinking, because it is totally based on corroborated fact. I have read and read much of the materials of which you speak, but I have never put it together. Just amazing work. I will continue to follow… fantastic work, your friend. Ulric R.
Ulric, so nice of you to say. I’m always wondering if this information gets across the way it impacts me, rather profoundly simple now, though the excursions in apprehending the story lines are/were not. Before I started writing, I was ‘lucky’ a time or two on getting flashes of insight which changed the way I saw things. Those insights became “the rules”, the founding basis of investigation which helped me begin seeing patterns and sorting piles of otherwise confusing material. Now, I mostly hope to do the subjects justice and keep improving information management. So it’s working? –thanks very much for telling me. Thankyou Richard, and for your link. I’ll be reading what you have on Fukushima. –awesome to see your activism.